Manic, arrogant, sycophantic and sadistic, Basil Fawlty is a much put-upon, hard-working hotel manager whose life is plagued by dead guests, hotel inspectors and riff-raff. Of course his biggest headache is his 'little nest of vipers' - his nagging wife Sibyl. 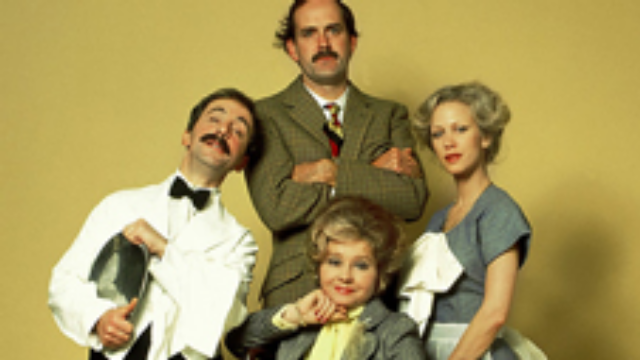 Together they run their hotel, Fawlty Towers, with a little help from the unflappable Polly, and Manuel, the trainee waiter from Barcelona with marginally more intelligence than a monkey.